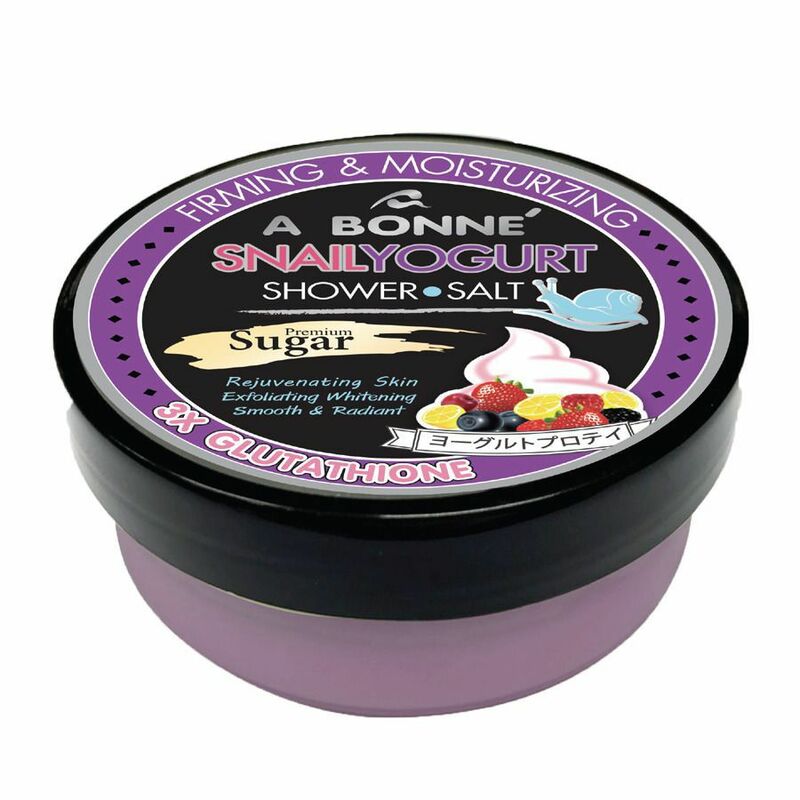 It is a 3 in 1 shower salt sugar scrub product. Cleansing, Whitening and Moisturizing skin. It's formulated with Nano White Glutathione, Yogurt Extract, Milk Protein and Snail Secretion Filtrate to smoothen and brighten your skin. 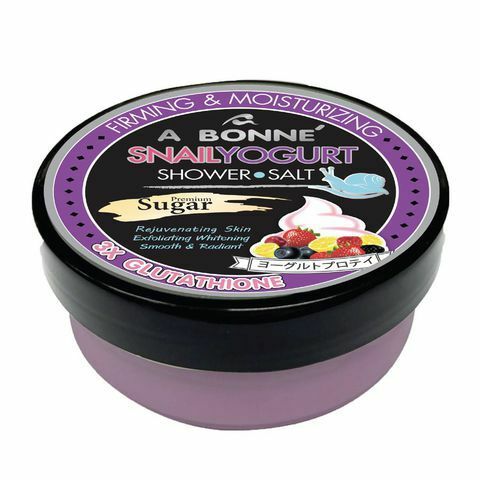 Salt and Sugar scrubs help maintain younger looking skin. It tones and tightens the pores of the skin. It has glycolic acid that rejuvenates and keeps fresh looking skin.